Feeling stressed at work….struggling to cope with the demands placed on you? For many of us work plays a big part of our lives; not just the hours spent physically at our desks but the time spent worrying about work in our leisure time. Obviously some degree of stress at work is important and can even help to motivate us. However, “when the demands placed upon you at work exceeds your perceived ability to cope” that is when you will experience work related stress. 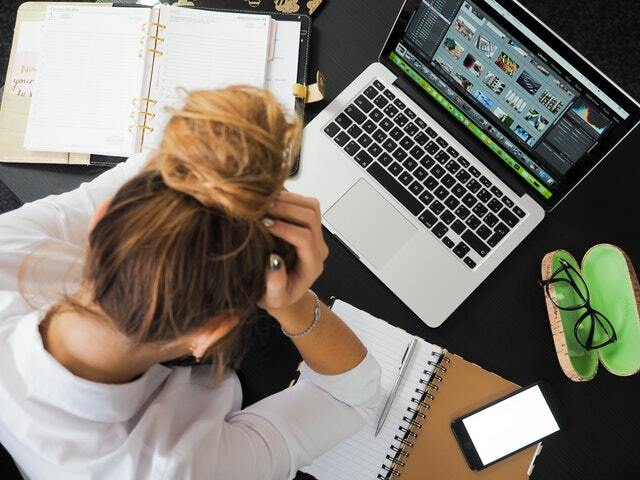 Many things can cause us to feel stressed at work including; excessive workloads, bullying and harassment, difficulties in your relationship with colleagues or even feeling undervalued or “rust out” – when you find that you do not have enough to do. According to the Health & Safety Executive, there were more than 480,000 reported cases of work-related stress, depression or anxiety in the UK in 2015/16. This equated to 11.7 million working days being lost as a result of the condition. When stress builds, it can be overwhelming and can prevent you from carrying out everyday tasks, affecting both your mental and physical health. You may become more irritable, the quality of your sleep may be affected, and your concentration may be impaired. We may drink or eat more and we may withdraw from those activities we once enjoyed such as socialising and exercise; things which can help us cope with stress. Make sure you eat a healthy, balanced diet, including plenty of water. Take a break, ideally outside, during your lunch break. Work regular hours and take holiday days. Overworking won’t help. Resist looking at your work e mails during your ‘home’ time. Maintain a healthy social life. Engage in hobbies and interests outside of the work place. Regular exercise can help reduce stress and help you feel good. Consider complementary therapies which promote relaxation, such as massage and aromatherapy and mindfulness meditation. At Heswall Hills Counselling Centre we have a number of therapists who have a lot of experience of working with individuals who are experiencing stress at work and can help you find a way through. If you would like support and help in managing your work related stress get in touch.